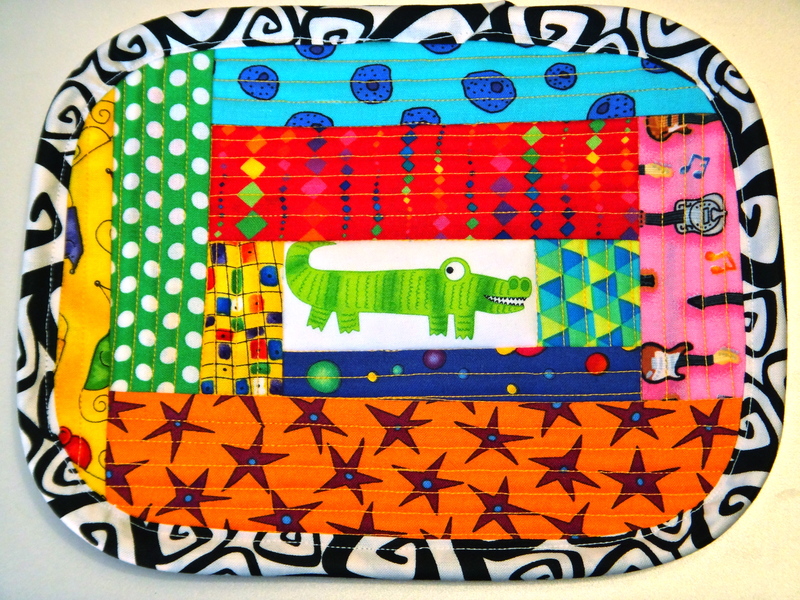 There are many ways to make a mug rug – here is one way. 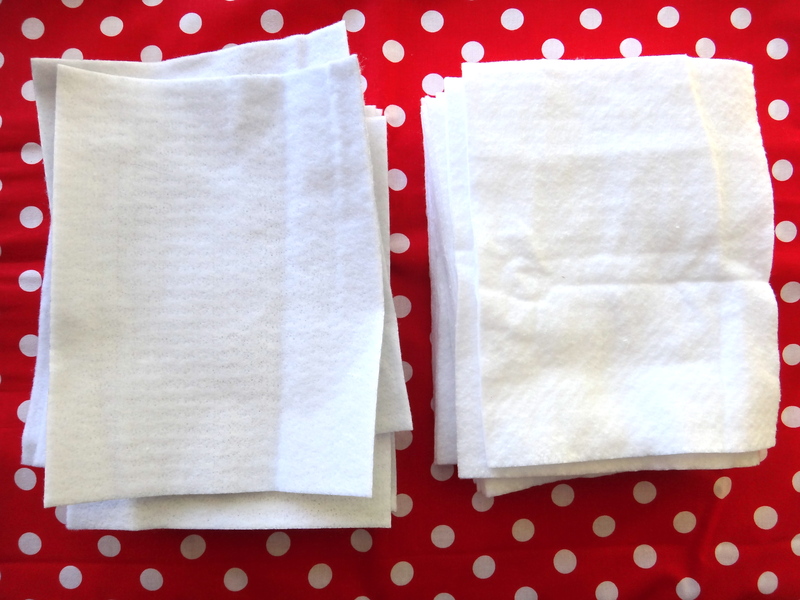 Cut two 9″ x 7″ pieces of batting. I use one layer of Insul-Bright and one layer of regular cotton batting. However, two layers of cotton batting would work too. 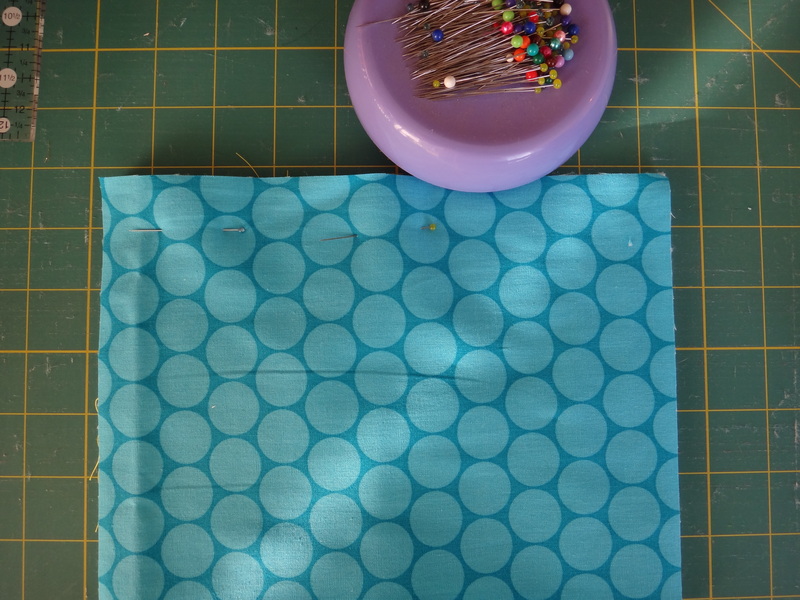 Take your center piece of fabric and place it in the middle of your rectangle. No need to pin anything because the fabric kind of sticks to the cotton batting. Sew a line across the top and the bottom. Then take your first scrap and sew it across the right side of your center piece. Finger press the piece open. 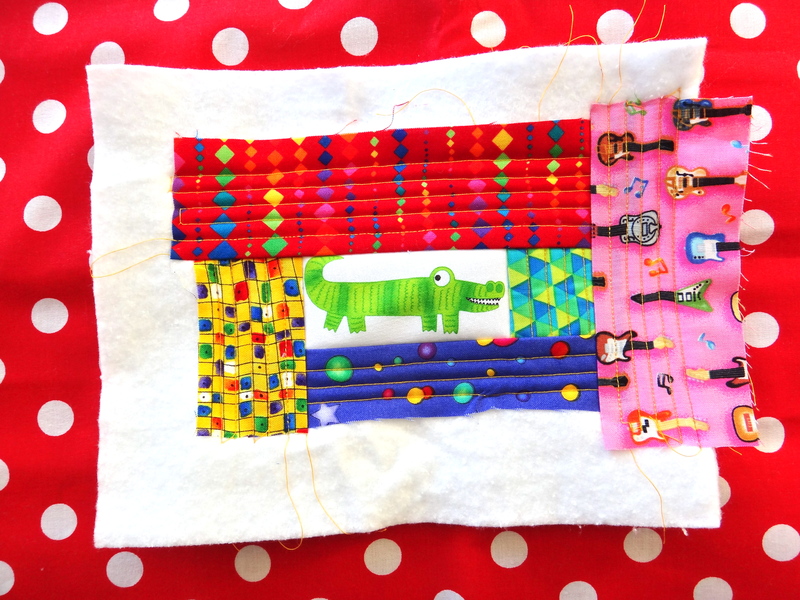 Sew vertical lines across this piece. 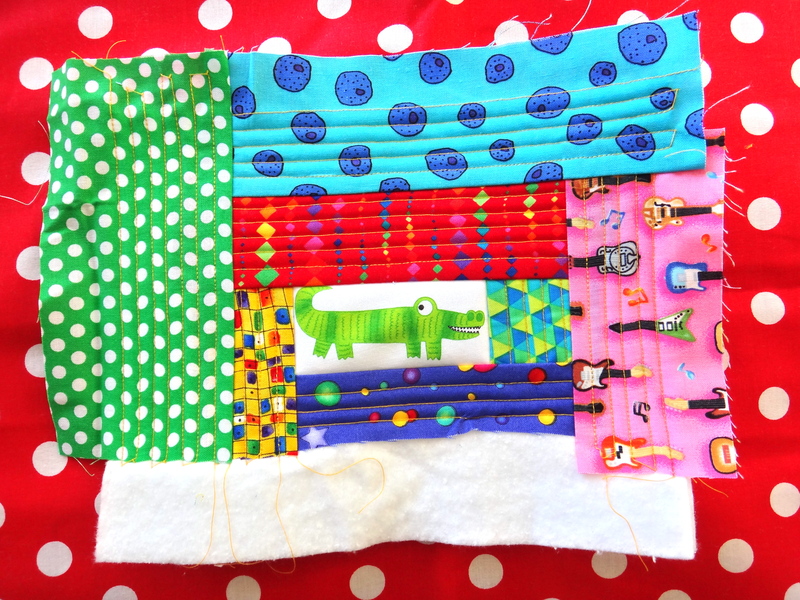 This is the quilt-as-you-go method. You will build your scraps clockwise around the center piece, also known as a log cabin pattern. 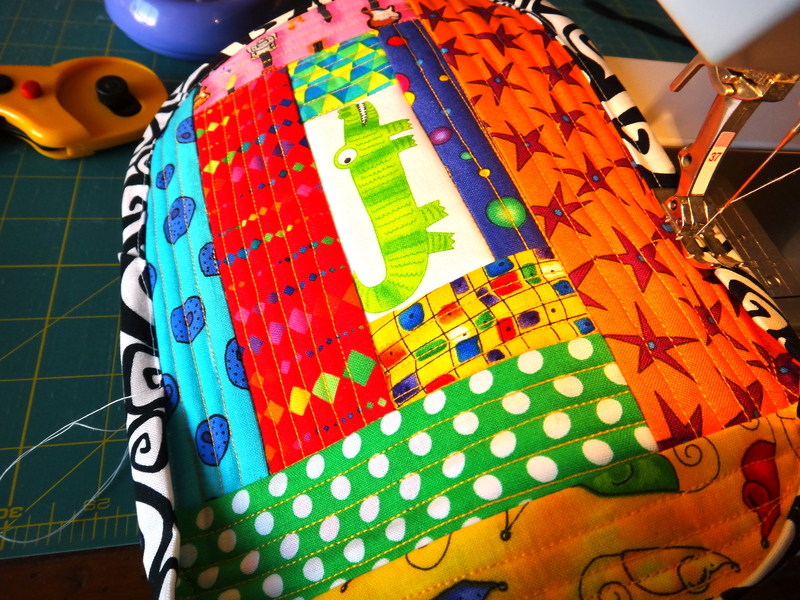 After each piece is sewn on, finger press it open and sew lines back and forth across that scrap. Add more scraps – going clockwise. 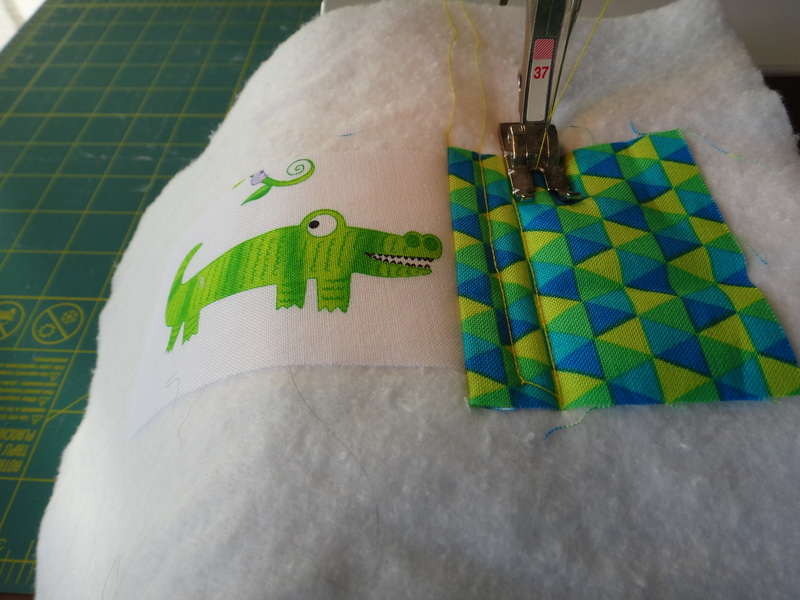 So basically you will sew a scrap down, finger press it open, sew a few lines across it, then rotate your piece and add another scrap. You’ll notice that you will have both horizontal lines and vertical lines as you go. Don’t worry if the outside pieces hang over the edge. They get trimmed off later. The entire rectangle is all covered in fabric. 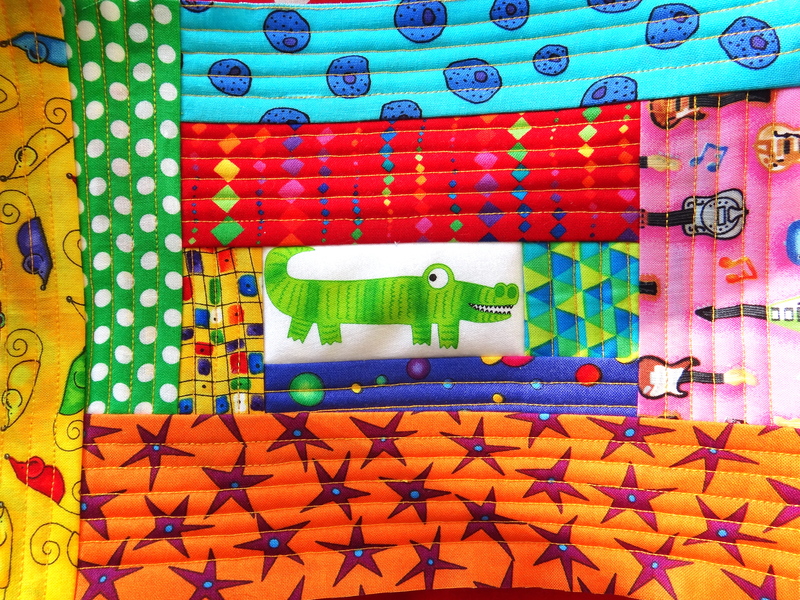 Once your cotton batting 9″ x 7″ piece is completely covered in fabric, you’ll see all that extra fabric. 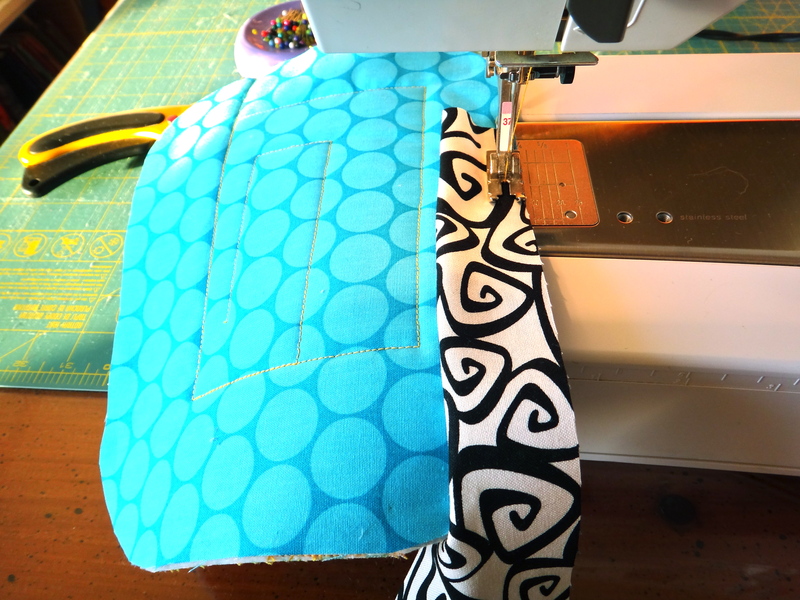 All you have to do is trim away the extra fabric so that your piece measures 9″ x 7″ again. 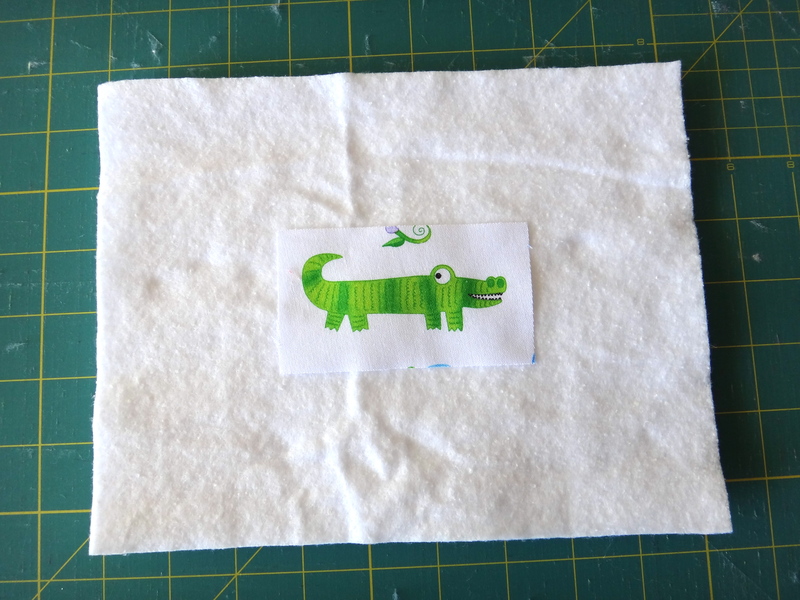 Next cut a 9″ x 7″ piece of fabric you want to use as your back. 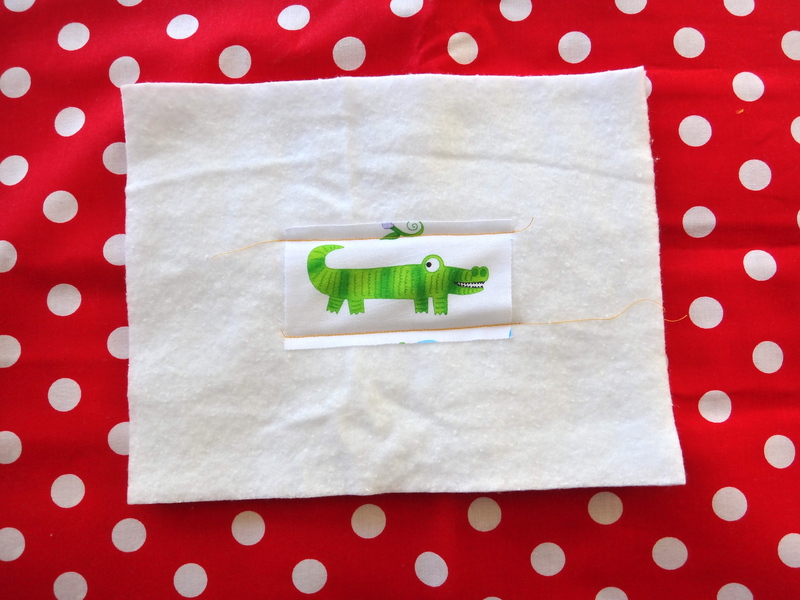 Pin it to your front piece around the edges and then sew it together by choosing a few places to stitch-in-the-ditch (sewing in an existing seam). Next you’ll round off the corners. I used a 4″ circle template, but a small bowl or mug will also work. 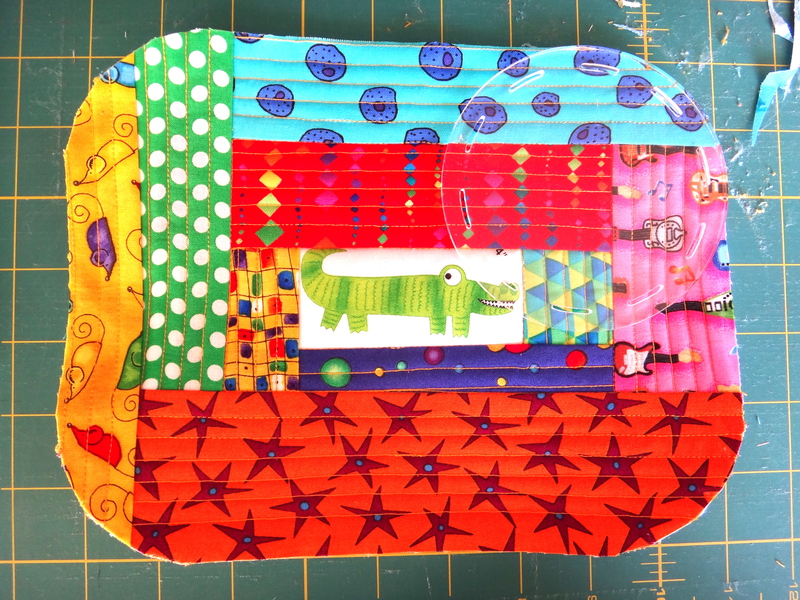 Cut a 2 1/2″ piece of fabric – approximately 36″ long. 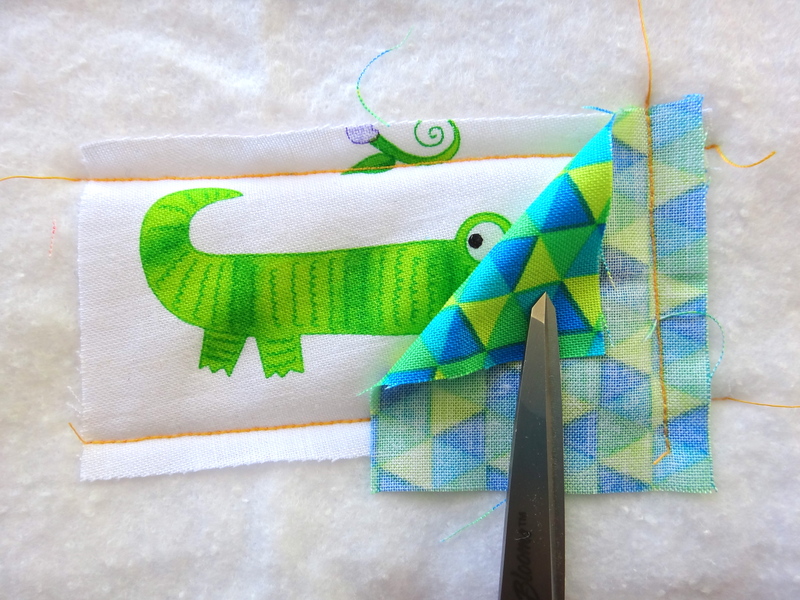 Fold it in half and then start sewing it around the edge of your piece. The curves are a little tricky, but just keep your edges matched up. 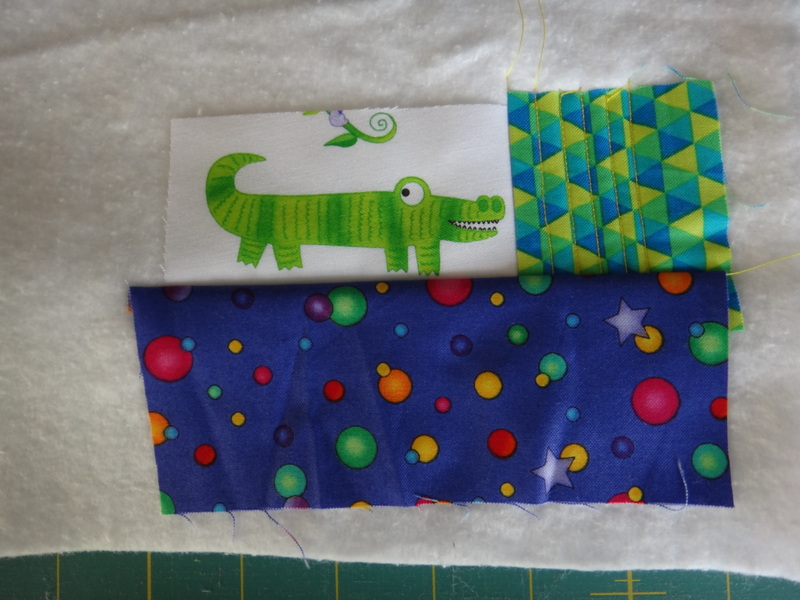 Also, I like to start the binding on the back of the piece first. And then TA-DAH…. you have your mug rug!! You have put together a great tutorial and the mug rugs look great. Your mug rugs are so darn cute. I love them and want to give your method a try. Great tute! Fun and fantastic tutorial! That little alligator is cute! Great job, Linda! 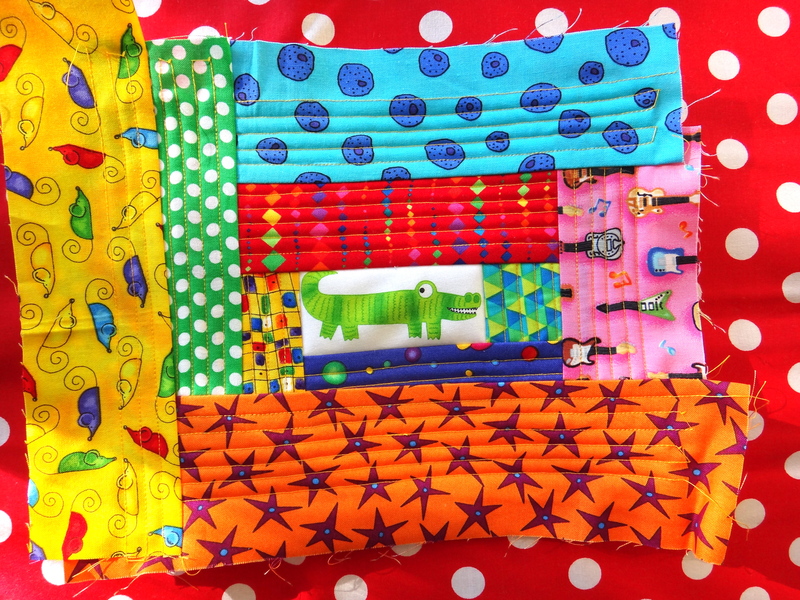 ← Mug Rugs – Round One!